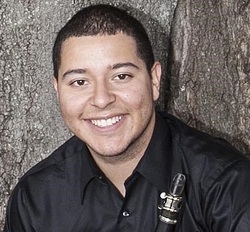 Wesley Mejia is a music education major at the University of South Florida, in Tampa, Florida. Originally from Miami, Wesley has collaborated with various ensembles and musicians in South Florida and the Tampa Bay area. He is a member and co-founder of the Grenadilla Quartet which actively seeks performance opportunities and functions as an educational outreach in public schools.